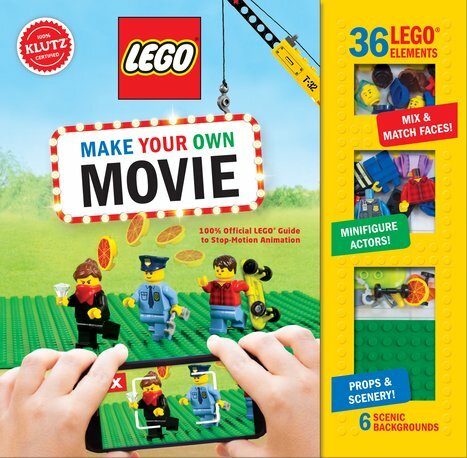 With this complete kit, kids can make LEGO animations (or “brick flicks”) quickly and successfully. The ten “Mini Movies” walk you through making short, funny clips with step-by-step instructions. Use your phone, tablet or computer to get started. For movie-makers intimidated by the blank page, this book includes endless mix-and-match story starter ideas to kickstart your creativity. Real animator-approved ideas and inspiration cover more advanced skills such as lighting, scenery, sound effects and different camera angles.